Integrated logistics & multi-depot operations, driver and trailer scheduling. Collection & delivery routing and vehicle route planning for all logistics operations. Dynamic logistics planning, real-time dispatcher software and control tower solutions. Strategic logistics planning & supply chain optimization software. Manufacturing scheduling, capacity planning & line scheduling. Field service scheduling & mobile workforce planning software. Staff shift planning, job allocation and demand led rostering software. Forecasting, data analysis, trending, demand planning & supply chain optimization. Stock balancing, inventory & replenishment optimization software. In addition we provide tailored optimization services that address specific requirements while taking account of all necessary operational rules and constraints. Our optimization tools are applicable to a very wide range of organisations and industries, coping with even very complex constrained optimization problems while being fast enough to enable dynamic re-optimization based on real-time data. MJC²'s software has the flexibility to take account of complex cost functions and business rules to ensure that results can be applied to real operations. Configurable optimization capability - enables all aspects of the optimization problem to be modelled accurately. Constraint-based optimization - constraints can be applied based on real business rules and varied or relaxed to model different strategic scenarios. Discrete optimization - discrete (and continuous) variables can be optimized. 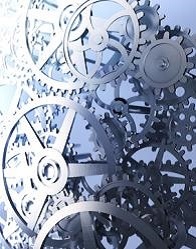 Parallel scheduling - our tools are intrinsically very fast but we can make use of the ever increasing capability of modern computers to achieve even higher performance. Fast optimization algorithms - our software runs at record speeds and can solve even very large optimization problems in seconds. Dynamic optimization tools - the speed of our software allows it to be used for dynamic re-optimization in response to real-time data or events. Performance Optimization - maximise operational efficiency and dynamically respond to performance evaluation data to facilitate continuous improvement. Cost Optimization - selection on a strategic and dynamic basis of suppliers based on supply costs, logistics considerations and service level criteria, taking account of critical cost optimization factors such as potential benefits, impact on service, time constraints and investment requirement. Asset Optimization - maximising return on investment in high value assets by forward planning and dynamic re-optimization. Logistics Optimization - creation of strategic logistics schedules (vehicles, drivers, depots, warehouses, etc.). Timetable Optimization - creation and refinement of complex timetables and schedules taking account of all operational rules and constraints. Process Optimization - modelling and redesign of business and IT processes to achieve lower cost operation and faster response times.